NEW YORK – World leaders preparing to meet in Paris from November 30 to December 11, 2015 to reach a binding agreement on climate change should know that superheroes will join the conversation as well. During the days of the COP21, in fact, a new comic book on the issue will be launched as part of “Comics Uniting Nations”, a series aiming to raise awareness on the Sustainable Development Goals (SDGs) through the art of comics. 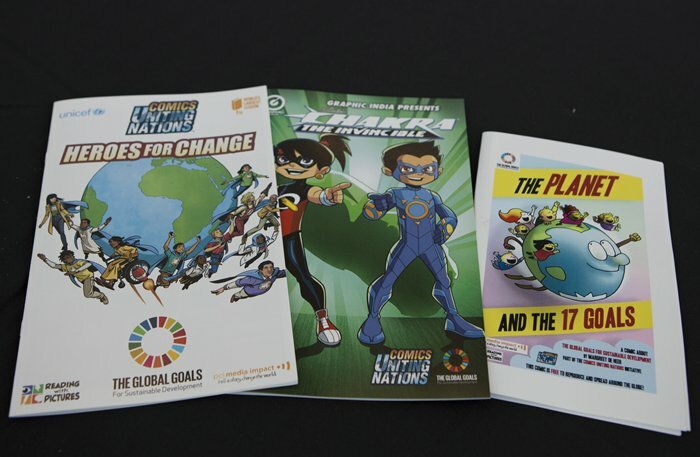 Comics Uniting Nations will produce 18 stand-alone books: an introductory volume and 17 story-driven comics, one for each goal of the 2030 agenda, and well a single page comic for each SDG. 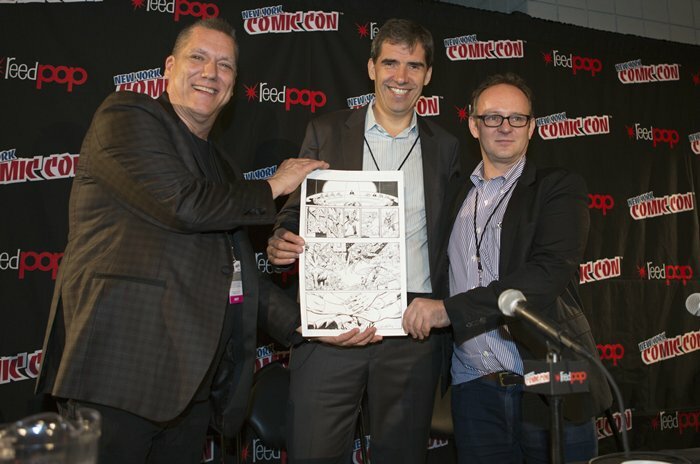 While the introductory comic and the first story-driven book on the SDGs – the one on gender equality, featuring Chakra the Invincible, a character originally created by comic book legend Stan Lee – were released from the stage of the 2015 New York Comic Con, the next few books are already in production. In addition to the one on climate change, a hunger book is on its way, along with 17 one-page comics. And, it seems, discussions are ongoing on the possibility to use adaptations of major comic characters. So what’s to be expected? But also, how did this project come to be? Europanewswire interviewed Sean Southey, who served for 12 years in the United Nations Development Programme and is the current Chief Executive Officer of PCI Media Impact: a 30-year-old not-for profit organization that is “a pioneer and world leader in Entertainment-Education and communications for social change,” according to their website. Comics Uniting Nations is a PCI Media Impact and UN/UNICEF initiative, realized in partnership with comic books and literacy nonprofit Reading with Pictures, and bringing together publishers, distributors and creative talent from all over the world. What’s the role of art in shaping minds and how did this process start? Why? What makes them more effective for this initiative than other means of communication? So you proposed to UNICEF and The World’s Largest Lesson? What audience did you reach first? Is this enough to make a campaign successful? What will the new productions be addressing and when will they be released? The initiative benefits from well-respected talent, such as Stan Lee. What about the choice of the characters and their relation to the SGDs?